On Easter Monday, April 24, 1916, the first great revolution of the twentieth century began as working-class men and women occupied buildings throughout Dublin, Ireland, including the General Post Office on O’Connell Street. Among the commoners in the GPO was a young staff captain of the Irish Volunteers named Michael Collins. He was joined a day later by a fourteen-year-old messenger boy, Eoin Kavanagh. Four days later they would all surrender, but they had struck the match that would burn Great Britain out of Ireland for the first time in seven hundred years. 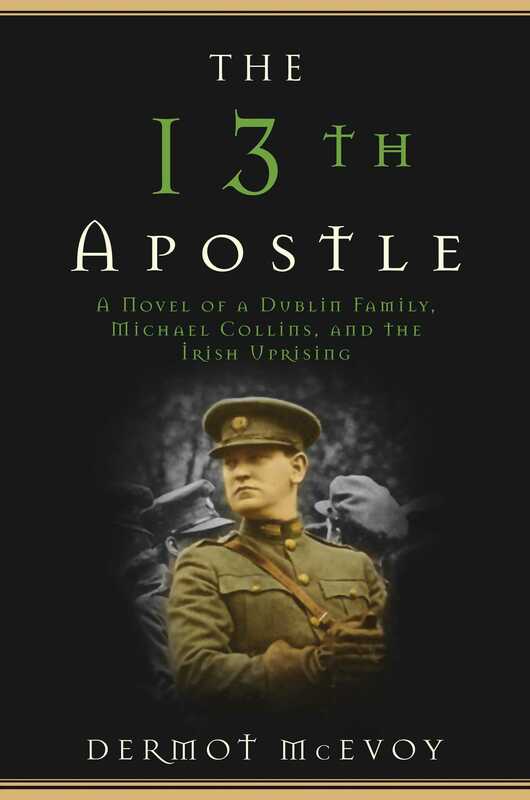 The 13th Apostle is the reimagined story of how Michael Collins, along with his young acolyte Eoin, transformed Ireland from a colony into a nation. Collins’s secret weapon was his intelligence system and his assassination squad, nicknamed The Twelve Apostles.” On November 21, 1920, the squadwith its thirteenth member, young Eoinassassinated the entire British Secret Service in Dublin. Twelve months and sixteen days later, Collins signed the Treaty at 10 Downing Street, which brought into being what is, today, the Republic of Ireland. An epic novel in the tradition of Thomas Flanagan’s The Year of the French and Leon Uris’s Trinity, The 13th Apostle will capture the imagination and hearts of freedom-loving readers everywhere. Dermot McEvoy is the author of five previous books, including The 13th Apostle: A Novel Of Michael Collins And The Irish Uprising. His writing can be found on IrishCentral.com. He lives in Jersey City, NJ.